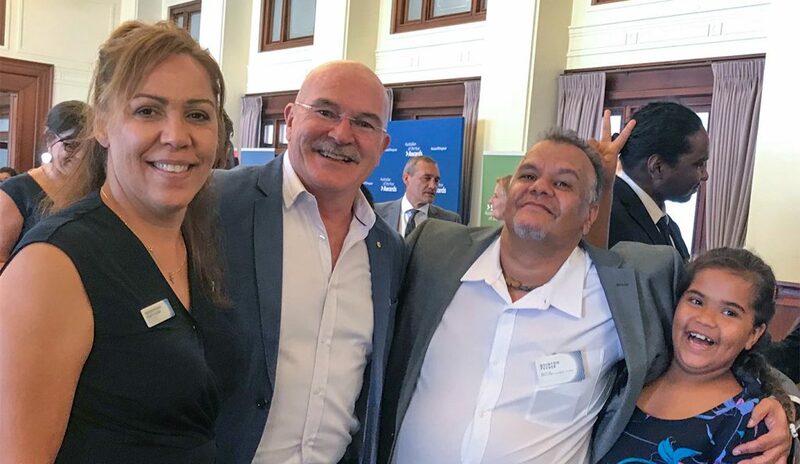 Auspire – Australia Day Council of WA Breakfast to launch 2019 Australia Day celebrations in WA Address by the Honourable Kim Beazley AC Governor of Western Australia. 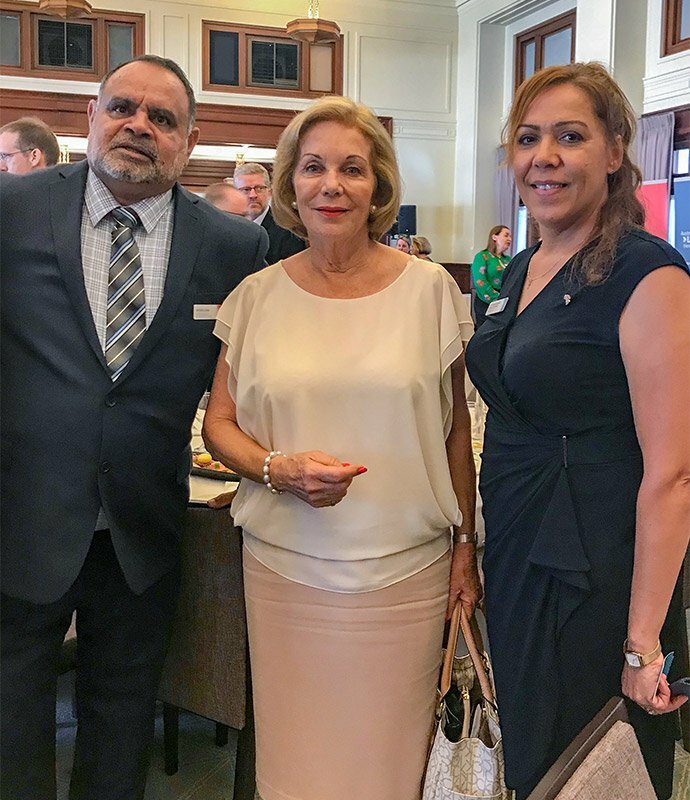 AFL Essendon Legend Michael Long, Ita Buttrose and Cheryl Kicket-Tucker at Old Parliament House Australia Day Luncheon, Canberra. 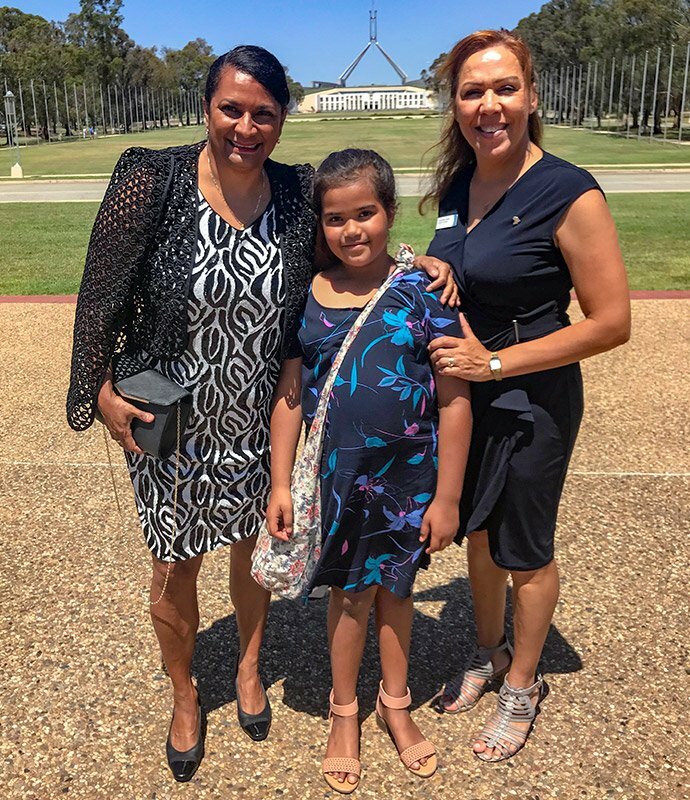 Australian Olympic Hockey Chsmpion Nova Peris, Caris and Cheryl Kicket-Tucker at Old Parliament House Australia Day Luncheon, Canberra. 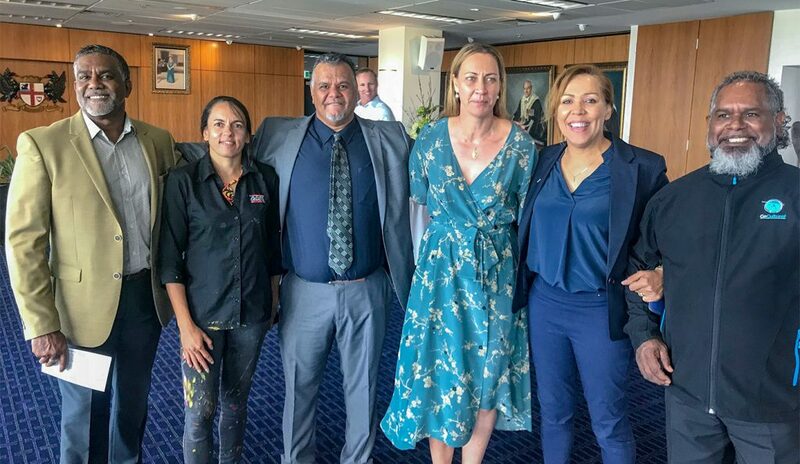 Cheryl Kicket-Tucker, Robert De Castella Australian world champion marathon runner, Q and Caris at Old Parliament House Australia Day Luncheon, Canberra. You should know Australia Day is a recently recognised moment in the way we celebrate it. It was only commonly acknowledged as such by the Commonwealth and States in the 1930s. It only moved into the current format in the 1980s and had that formalised in 1994. In a sense it is a creation of my generation of politicians interacting with our broader Australian community. The Hawke Government had a thematic of nationalism and self-reliance. The anniversary opportunity was the bicentennial of January 26th 1788 in 1988. The sorts of celebrations we now have were perfected in the lead up. We became conscious too of the unhappiness in the indigenous population, so from the outset, attention was given to possibilities of reconciling concerns. A prelude that Prime Minister Hawke was most proud of was the passage in the British Parliament of the Australia Act and the Queen’s subsequent visit to proclaim it here. By this act the British Parliament severed any legislative connection between the two states. To give events a multicultural turn, citizenship ceremonies became prominent in official celebrations of the day. It should be pointed out that January 26th is not citizenship day. That was proclaimed in 2001 as 17th September, celebrating the proclamation in 1973 of the Australian Citizenship Act replacing the title of the Citizenship Act 1948-69. That in turn had been followed up in 1984 when laws were repealed that made our citizens subjects of the U.K. – a useful preliminary to the Australia Act. 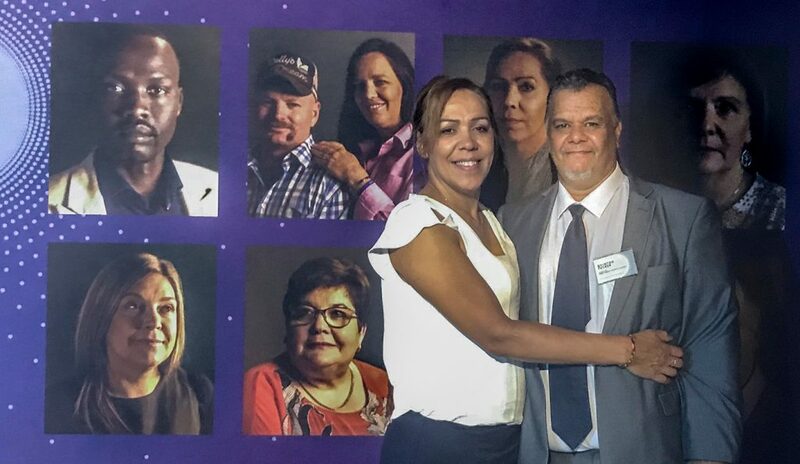 As well as various mechanisms we have for acknowledging the indigenous community, the citizenship ceremonies on the day remind us of the broad cultural base of our community, even if the date itself is of limited significance in the sign post dates of Citizenship significance. There is just one other thing I want to mention and that is to look at what we have become. We have become without much fanfare, a more powerful nation than we believe ourselves to be. We look out at a complex world with not a little anxiety. It is not our way to big note ourselves or accord much value to individuals who do. Others however, are noticing us. The intellectual hegemony of the notion of a global liberal order challenged by a disruptive China and Russia is becoming more complicated. As the Trump Administration spurns American leadership founded essentially on American ideas, others become more interesting. Another interesting study of Chinese CEOs ranking of growth prospects for their businesses did not feature Australia in the top 10 in 2018. This year we stand number one – Australia 21 per cent, U.S. 17 per cent, Japan 13 per cent, France 13 per cent and Canada 11 per cent. A less significant measure than those above but further indication the world now is taking us more seriously. I found that when I was Ambassador to the U.S. When the U.S. contemplated combat we were seen not as a political flag but a capability. When it came to discussing global but particularly regional affairs we were seen as among their most valuable dialogue partners. We are a country worth celebration. Well in 1994 the attributes of Australia Day, identified in the 1980s, became formalised. The Australia Day Council website points out families and those born overseas are most likely to celebrate the day. 13 million are participating in specific Australia Day celebrations this year. 75 per cent of us believe this should be a time to recognise and celebrate the country’s cultural diversity. 54 per cent of us give a thought to how lucky we are to live in Australia. We are lucky. Most of us won’t be thinking of the history and detail of all of this. In a way many of us will be wrapping up the ‘month of the family’. It started on Christmas Eve and it wraps up today. We will be looking for a joyous conclusion even if in reality most of us are already back to work.